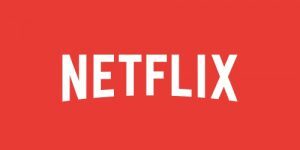 The VPN Lab - VPN Guides - Netflix Guides - Does Hide My IP Work With Netflix? Does Hide My IP Work With Netflix? Hide My IP is not a VPN in the conventional sense of the word. Upon inspecting its range of features, we can conclude that it more closely resembles a proxy service. 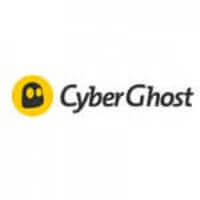 It offers more than 1,000 IP addresses in 111 cities across the world and uses SSL connections for added security. It does not keep any logs and you can use it on up to 5 devices at the same time. The service does not offer any particularly advanced features, but it does promise to help you bypass geo-blocks and access websites like Hulu, Netflix, and Pandora. We were curious to find out whether this was really the case, so we ran our usual Netflix tests and here is what we found out. While our records and user experience show that Hide My IP service was able to unblock Netflix in the past, our latest tests revealed that it no longer constitutes a reliable solution for users who want to stream US Netflix content. We attempted to access Netflix several times, using different IPs and the IP Rotation feature, but none of our attempts were successful. Every time, we were faced with the same old proxy error and we concluded that Hide My IP does not work with Netflix at this moment. Since the service adds new IPs on a regular basis, it is possible that it will be able to unblock Netflix in the future. Therefore, we do not say that you should give up on Hide My IP, but we do not recommend investing in a subscription at this point if your primary goal is to stream US Netflix. However, it is good to know that the service offers a 14-day free trial, so you can test it yourself at any point and see if you get lucky. Want to find out even more about Hide My IP? Make sure to check out our Hide My IP Review for detailed information about this VPN provider. Tired of standing between Netflix and VPNs in their never-ending cat-and-mouse chase? If you just want reliable access to the biggest catalog of movies and TV shows in the world, read our list of the best VPNs for Netflix.